CHINA: SHIFTING CONCENTRATION OF (REAL) WEALTH. In my last column I discussed about the immense potentiality of china towards creation of wealthy citizens. I have tried to depict the true picture of the Chinese government, which helps to increase and develop the citizens of china. It clearly points out those Chinese economic policies are helping to reduce the gap of rich and poor. The proof of the pudding is that China ranks No 2 on Forbes billionaires list. Moreover 27 of them have made into the list for the first time and that also at a point of time when the world economy is fighting enormously with the recession nights. I ended the report with a prelude to this topic where I will again try my level best to bring forth the policy behind making Chinese citizen and economy so surprising to the world economy. But before that we all need to have a quick look towards the covered up journey of China. If we look into the historic position of Chinese economy it will very hard for any one to believe about the turn around been formalized in to shape of today’s Chinese economy. • China's industries developed and grew from 1927 to 1931. Though badly hit by the Great Depression from 1931 to 1935 and Japan's occupation of Manchuria in 1931, industrial output recovered by 1936. • By 1936, industrial output had recovered and surpassed its previous peak in 1931 prior to the Great Depression's effects on China. • This is best shown by the trends in Chinese GDP. In 1932, China's GDP peaked at 28.8 billion, before falling to 21.3 billion by 1934 and recovering to 23.7 billion by 1935. • In 1978, China was to witness one of the most rapid periods of change in her 5,000 year history. • 30 years later, China had developed from an economically desolate and ideological-driven country into an industrial powerhouse, rapidly overtaking developed western nations in recession. • In the 1990s, many state enterprises were privatized and private individuals were allowed to create companies. In 1990, the Shanghai Stock Exchange was reopened after Mao first closed it 41 years earlier. • It also established a series of "special economic zones" in which foreigners could invest in China taking advantage of lower labor costs. This investment helped the Chinese economy boom. In addition, the Chinese government established a series of joint ventures with foreign capital to establish companies in industries hitherto unknown in China. • By 2001, China became a member of the World Trade Organization, which has boosted its overall trade in exports/imports—estimated at $851 billion in 2003—by an additional $170 billion a year. • In 2006, an estimated $699.5 billion of foreign investment was present in China. A great deal of this investment came from Chinese-speaking regions such as Hong Kong and Taiwan, who was the first to invest in China. Japanese and Western investment followed. So now its well clear to my readers about the encapsulated journey of today’s Chinese economy from the era of 1930.But all these were in the initial days were only plans or policies. How did they materialize is the point to be analyzed. They have been materialized due to one single factor that is the education. Education not only in schools and college levels, but also to create the huge untapped potentiality of skilled and semi skilled education and educated mass of population. We all know that china posses one of the largest population. The world at times used to critics this huge mounting population of china. But china and its government’s decades after decade have converted their biggest weak point in to their biggest strength. Today china enjoys the huge potentiality of its consumers and consumption. It have created the largest pool of skilled and semi skilled workers and employees .What we say in corporate term Blue Collard Jobs. China has used its cheap commodity resources to create world best products and cheap products. Educations particularly in science field have helped china to become the supreme power of technology. China have created the world finest products through its massive and continuous never ending technological innovations. It have created scientist and researchers equivalent to the western world. All these have been created on the wheel of proper and improvised education system provided by Chinese governments. Very recently china is going to bring a change in the education system. • China plans to revamp its university admissions system, allowing students to take subject-specific tests. 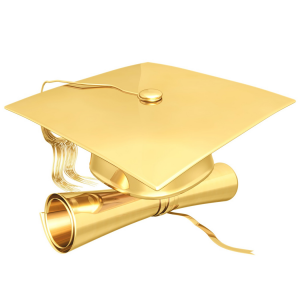 • Currently access to university is entirely dependent on the score students gets on a two-day test on a wide range of subjects. • A little more than 10.2 million students take the exam each year, and only about 25% of them get in. The vast majority of those who don't make the cut go straight into the work force. China is trying to bring change into its education system so that the vast majority can reap the benefits of education. Moreover this will also increase the talent pool of Chinese new generation. More White Collard Jobs will be created resulting free dependence of the economy. The schools and colleges have been asked to develop and promote create thinking minds within the students. This will enable the future growth of china. Just imagine when many countries in the west are busy to resolve the post war situation and busy in exercising images of super power, China is creating and shaping its future. China is thinking way ahead of another 30years from now. Where as many countries in the west who are busy to come out of the bad sins committed through speculative economic and business growth modules adopted by them. China is thinking to develop the nation where ideas will be sold and other economies will buy them paying hefty amount Products will be replaced by ideas. A time might come when the Chinese economy will increase the taxation for selling only innovative ideas. It might sound funny but juts imagine the growth model and the future strategy adopted and being implemented by china towards developing its economy. It can be said that China is SHIFTING CONCENTRATION OF WEALTH. Western economies will become 2nd rank economies and China will come under developed economies rank. Today after so many years US and other economies have identified that the real growth of any economy lies in the hands of education system. It can created speculative gains and growth for shorter time frame but if its looks within the thin line of economic growth the results are beyond speculation. 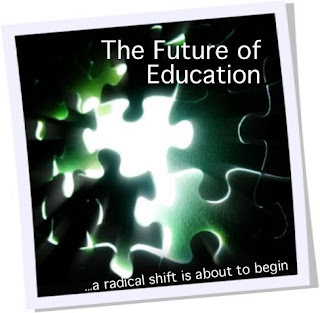 Today the US government is buying in shaping up the education system. It asks its citizens to create scientist doctors and researchers. Since it feels very well that the in the coming decade other economies will take over the super power crown. Today US have realized the mistakes it have committed and now bringing radical changes in the education system to shape up the future. Very recently US is emphasizing to improve students and teachers instead of punishing under performing schools. US have 33% under performing schools. Unfortunately the list is increasing each day without rewinding back. US is also going spend four-billion dollar more on education system. At the end I would like to conclude the series with this note that all these analysis of the education system was not to criticize but to bring forth the true portrait being painted by the world and China alone in the coming decades. We must understand the growth of any economy never lies in numbers. It lies among all of us who are juts like you reading this article .It is we who will bring the economic growth GDP to 20% in the next 3 decades from now. Its not the business profit figures or the fiscal balance which will bring this growth. Education is the foundation of economic growth of any nation on this planet. The matches between two countries have fuelled the fire and as a result every one is on the sidelines to watch out the final over of the match. I am not making a live telecast or neither writing up a report on any final cricket match to be held between two countries. I am talking about the battle between economies fires up the stadium of currency. US and China are now fuelling up the battle between economic development via Currency. The long awaited battle of devalued Chinese currency have been the eye spot for all the over the world. In my previous articles I have explained and brought forth the games those are being enjoyed by china due its low currency valuation. Its true that Chinese goods have replaced US goods from the shopping floors of US itself. China enjoys the base of devalued currency makings its cost of production from all angle very cheap. This also able china to make cheap export and as a result destroys the industrial activity of the importing country. We don’t need to make a analysis of the US economic conditions since many times by myself and by others the true picture of US economy have been presented on your table. Even if we look from Indian context china have tried to exploit and damage certain markets and sectors by violating antidumping. • Very recently India is investigating 15 new cases of dumping of products from China. • Out of the 15 cases (between March 2009 and February 20, 2010) 11 are against China. • The other countries on which the duty has been imposed include Taiwan, Korea, Thailand, Malaysia, the US and the UK. Out of the 15 trades 9 of them are being recommended to impose provisional duty. • Imports from China to India during April-September in the current fiscal stood at $14.4 billion (Rs.72,395 crore). • China's exports to India during 2008-09 fiscal stood at $29.4 billion (Rs.1.47 trillion) while it was $21.8 billion (Rs.1.09 trillion) the year earlier. • The anti-dumping duties imposed are mostly on products which includes fabrics, , auto parts, industrial chemicals, electronic items and machineries. • Against China, the products on which the duty was imposed includes television picture tubes, ceramic tiles, tyre curing presses, carbon black, radial tyres and certain stainless steel products.The below chart shows the export growth and decline of China. Impositions of restriction on Chinese products have increased with a fascinating speed. The number of import restriction imposed by India was the highest with 29 cases followed by China and United States with 20 and 15, respectively. Import limitations imposed by the three countries accounted for 52.6% of the total cases reported around the world. China has been engaged to such antidumping cases due its excessive production. If the china have achieved the GDP growth rate beyond 10% the goods manufactured at their end were sold in our country or US and many other countries at cheap price. This have resulted damages of importing countries manufacturing and economic growth. This also increases the unemployment of the importing country. A solid and a perfect example is the US unemployment of 10%. Now the situation stand at such a crossing of the road that US have to bring forth anew bill which will protect them from Chinese low cost products created by devalued Chinese currency. The new law proposes to impose tough tariffs to compensate for the unfair export advantage taken over by China. The bill is being supported by every party in US. If this type of law is being imposed china will be badly hitten on its GDP growth followed with other prospective economic growth areas. In fact the world GDP growth will take back sit but will be beneficial. Growing assets bubble of China and the massive building of inventories and finished goods of china will take a halt. Their will be less fear of any more asset bubbles which might slow down the recovery out of recession of world economy. Now we might get opines that China does not have a devalued currency and also its valuation is well balanced.Now if we take this testimony to be correct then please explain why china is having so many cases of antidumping and why countries like US,Europe India and others are trying to protect them selves.Now please dont say that these economies are jealous of Chinese economic growth.Even if you try to figure out the picture in the other way round the image remains the same. Now what china will do counter fight US through its various capping polices needs to be watched. Before we get any idea from China to counter fight the matter I am ready to bet that the next step will rattle the dollar, gold and US treasury. CHINA : SHIFTING CONCENTRATION OF WEALTH. China is now on the discussion table of every economy due its GDP growth above 10% followed with fastest recovery of any economy our of the recession nights. Inflation of china and the asset bubbles in every corner of china is now a matter of concern for the world economy. They are afraid that if the bubble goes for burst out then the nights of recession will be longer. Economist and every financial equity market analyst have raised many reasons to justify and bring forth the danger of Chinese economic recover. China very recently posted its inflation number which rose to 2.7% year on year in February according to the National Bureau of Statistics (NBS). Food prices rose 6.2% last month year on year, with non-food prices rising 1% from a year earlier. Inflation is a shadow of higher GDP growth which I have discussed in my article named. So there is nothing new to be covered for the justification of inflation. Inflation have many reasons to take birth. But in case of china it will be completely wrong to blame the activity of fiscal stimulus package giving birth to inflation. Historically China has been a high ambitious country always focused towards becoming No.1 in every economic activity. Now how much ambitious is,lets discover that. • Very recently China ranks No 2 on Forbes billionaires list shows the proof of the pudding. • China has been very focused toward the development of its citizens. • They have formulated policies and strategies which will promote wealthy ness among the citizens. • It was not among those economies that have given in one hand and taken back double in another hand from the citizens. Now what types of policies have been taken over is very well known to my readers so I will not be boring my readers with old analysis. Since this part of analysis has been carried much earlier by many former writers from every corner of the world I will not add any more ink to it. China in total is having 64 people from the Chinese mainland, which made into the Forbes magazine list of the world's richest billionaires. • This also moved them up to take second place for the first time. Among the super-rich from the Chinese mainland, 27 made the list for the first time. • 25 people from Hong Kong made it into the billionaires club, while 18 Taiwan people entered the list. More than 10 percent of billionaires on the list came from the Greater China Area, namely the Chinese mainland, Hong Kong, Macau and Taiwan. • Now all these position have been bagged off when the world economy was busy is struggling to come out of the recession nights. • Those 27 new entrants have accumulated the wealth and made in to the Forbes list in the recession times. • The rich are getting richer too. In one year the average wealth of the billionaires has increase $500 million each.In simple terms china is creating its citizens to compete with the rich category of the world richest. • This also reveals that the government polices and packages other than the recession ones are helping to create rich people in china. • Savings and income are being promoted by the Chinese governments’ decade after decade. The growth of china is being reveled in real sense through its citizen’s wealthy ness. China has also reduced the gap between rich and poor. This has been possible by promoting the savings parity among the citizens of china. China is having the highest rate of savings among the whole of Asia. 45% is china’s savings followed with South Korea at 39% and Singapore and India at 34% each, according to a survey report released Tuesday by HSBC Life Insurance. The savings is backed up by major financial assets which comprises mainly of bank deposits, followed by housing, stocks and medical insurance. So the creation and preservation of wealth is happening at equal rate in china. In fact Chinese consume less and save more which results to creation of internal wealth of Chinese economy and rich citizens followed with reduced gap among rich and poor. China has finally declared the verdict that it is SHIFTING CONCENTRATION OF WEALTH. It will be wrong to say that china is creating world’s riches at the cost of other economies. China is in the game for the past 5 decades. In my second part I will bring forth the real player who creates wealth for china and will make china No.1 in the coming years. ENTANGLED GROWTH OF OIL COMPANIES INVESTMENTS. When oil prices went for an upward hike the whole of India took off the extra pay with a mixed reaction. Mixed reaction since 1) Indian citizens have become very much close to the Indian economic fiscal condition and 2) The increase in tax slab for the all class of citizen made them feel that they will have some more savings in their hands and more shopping spree for the families. Now please don’t derive a concept that my article will be based on oil price hikes and similar issue. Every writer from finance or economy or social world have spend huge amount of inks at the back of never ending debate of oil price. Oil companies have recently a week after the price hike was made have announced that they will spend Rs. invest over Rs 77500 crore in adding 44.2 million tones of refining capacity by 2012.Now this news is enough to increase the values of the stock price of oil sector companies. But we never bothered to look in to the in depth analysis of the investment. • Bharat Petroleum Corp's joint venture is investing Rs 11,397 crore in a 6 million tonnes unit at Bina in Madhya Pradesh. • Hindustan Petroleum Corp is spending Rs 18,919 crore in building a 9 million tonnes refinery at Bhatinda in Punjab. • Mangalore Refinery is investing Rs 12,412 crore in expanding its 11.82 million tonnes refinery to 15 million tones. • HPCL will expand its 5.5 million tonnes Mumbai refinery to 7.9 million tonnes at a cost of Rs 295.46 crore. • According to the XIth Five Year Plan (2007-12) the refining capacity will be increased to 153.832 million tones. • Even Oil India Ltd is pressing for greater freedom in deciding on its investments as it scouts for more exploration acreages. • ONGC has plans to spend $4bn (roughly Rs 19,600 Crore ) over five years for oil exploration in Russia, Vietnam, Libya, Iran and Myanmar. 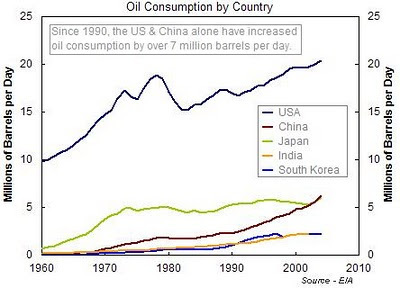 The below chart shows the Oil consumption demand of various countries. Hence investments are going to shape up the oil market of India followed with creation of demand of various sectors through the process of exploration. If we look at the rising demand of Indian economy towards oil gas we find that Consumption of natural gas has increased substantially from fertilizer, petrochemicals, power generation and domestic use. While the current demand of natural gas is close to around 179 mmscmd, the supply for domestic production is around 87 mmscmd. In the ongoing quest for bridging the demand-supply gap, the national oil companies and the private sector is looking at deep drilling, enhanced oil recovery. So the investments and the projects undertaken by oil exploration companies will bring down the burden of rising gap of demand and supply. More over Indian economy is now on the path of emerging economy so the demand of oil and gas will increase and the demand seems to be doubled each year. So Indian economy needs more investments in this sector so as to meet the fuel requirement for the journey of Indian economy towards emerging economy. When ever there is any investment, the sector where the inflow of funds will happen will not only benefit but that benefit will be spread across many sectors. Now in this article I will try to bring forth such analysis. The funds will be used for hydrocarbon discoveries, where drilling companies and equipments makers will benefit. They are the prime sector which will intake 50% of the inflow of funds .Since without proper and advanced drilling machines exploration activity cannot carried forward. The companies who are out sourced the process of drilling are the ones who will gain from the inflow of funds. After the exploration process is over the pipeline to bring out the explored product will be required. Now this sector also brings forth another sector demand that is steel companies. Pipe making companies will be the next sector after drillers to pull off the next inflow of funds. Now pipes will be made out of steel and hence the steel sector also gets the demand from the oil exploration process. Building of infrastructure for these distributions of raw crude products will also require inflow of funds. So the companies which will get the slice of these infrastructure projects will also find growth. Oil exploration will bring demand in many sectors and hence we investors need to pick up stocks to reap the benefits of the diversified growth that will generate from the investments of Rs. 77500 crore in oil exploration. Indian economy needs oil independency. To achieve this sector will require huge inflow of funds. Since when oil explorations will bring positive results the Indian economy will not require importing crude. 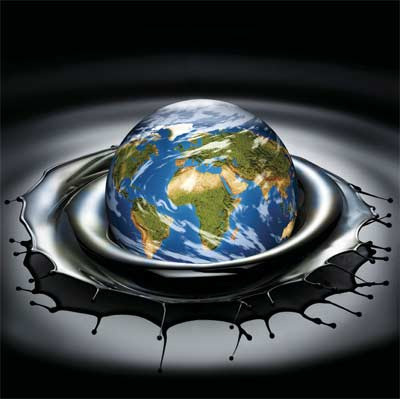 At present Indian economy imports 70% of the crude. If these investments bring down the dependency of imported crude to 50% Indian economy will find a substantial decrease in the balance of payments. Its fiscal deficit will become very much under control of India and a time might come in the future that India might be able to export crude. But that’s along way out but we need to keep going. Now many of my readers might question that why I did not provide them the name of the companies who will benefit from the investment. Since my portal is not for any recommendation of any stocks. It only recommends sectors, in-depth analysis, trends and foresight of the sector. I might disappoint my readers but please appreciate that I have changed the outlook towards the one sided investments towards oil companies. 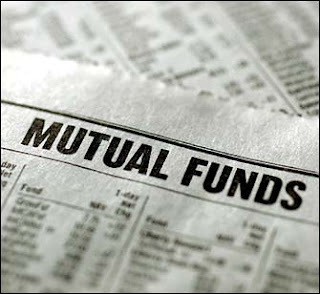 NEW FACE REQUIRED FOR MUTUAL FUND INDUSTRY. SEBI have been formulating various policies for the Indian financial market in order to bring parlance among all categories of investors and the most important one to protect the hard earned money of the investors. The finance markets have been rattled with each and every new policy taken up and implemented on the industry. The worst affected are the mutual fund industry. This segment have been affected so much that now the segment is on the path of stagnancy. Their are mixed comments and reactions from every corner of the industry. What SEBI did to mutual fund industry? • SEBI scrapped entry load on mutual funds of all type. • The upfront commission to distributors shall be paid by the investor to the distributor directly. • Earlier it was waiver of entry load on direct applications made by investors to AMC. Later on it got abolished on all investments. • This move gave a hit to the mutual fund industry profits. Particularly the AMC and the distribution companies. • The distributors shall have to disclose the commission, trail or otherwise, received by them for different schemes or MFs which they are distributing or advising the investors. • The individual distributors simply came to an dead end particularly the ones who were price sensitive bargain makers. The prime reason for bringing these changes was that to make investors to invest maximum of their funds and also to enhance the return over their hard earned money. Investors were also given proper disclosure support of investments made by AMC by making declaration mandatory by AMC each month. SEBI brought the changes for investors benefits but within couple of months it became clear that investors were perplexed to find advisors on the street. The distribution network of Indian mutual fund industry which employed a healthy number of employees came down to street with a couple of months. Offices and networks were winded up and leaving unemployment from this business to generate. Thanks to the Indian statistical measure parameters that there are no ways to measure unemployment in India and even if there is something like this no one knows the reports of that unemployment. Now a question might come that SEBI guidelines were revealing that seller should convert in to advisors so when an option of advisory was given then why companies and individual distributors took the hit. The ans lies within the system of sellers. It is never easy to convert all the sellers in to advisors in one fine morning. Moreover the Indian mechanism of product consumption is PUSH TO SALES. If no one is their to PUSH TO SALES then how consumers will come to know about the financial products. Now these products are no like FMCG or white goods where advertisement and demo will be given to make the process of sale. Advisory comes in to play, its like to find the best doctor among thousands of doctors. No before you find the best doctor the patient might collapse and meet his own destiny. In plain words this is what happened to the current investors of the mutual fund market. Before one could do develop the advisory module in his business the competition of advisory was thrown on the table. The smart group of sellers took off the market and some played advantage on the advisory module. The end result came that investors were feared to have words or views of any one on the street followed with less investments by retail in to the mutual fund industry. Even the fund offering became dead or even went without notice. THE GROWTH OF THE INDSUTRY. • According to the data provided by the Association of Mutual Funds in India (Amfi), average asset under management of 29 fund houses stood at Rs 3,76,947.21 crore in February, up 4.3%, compared to Rs 3,61,289.88 crore in January 2010.This growth is due to tax saving months collections. ELSS are the ones which are able to garner such amount of business. • If we go for some more specific details we find that out of 29 fund houses under review, nine fund houses registered a decline in their monthly average AUM with major decline. • DSP BlackRock, Escorts, Fidelity, HSBC Mutual Fund, ING Mutual Fund, LIC Mutual Fund, Mirae Asset, Morgan Stanley, SBI Mutual Fund and Sundaram BNP Paribas were among other fund houses that recorded a negative marking in terms of AAUM growth. • Assets of AIG Global Investment and Bharti AXA, were the worst hit recording a drop of over 12 per cent. • In the month of February net inflows into the equity schemes of the mutual fund industry was Rs 1,514 crore. This is the highest monthly inflow witnessed ever since entry load was banned by the market regulator (from August 1, 2009). • It’s well clear that investors are not very comfortable with investments advisory system. Very recently the mutual fund industry was planning to propose the finance department of India that to make the lock in period of 3 years for all equity schemes juts like ELSS. The prime reason is to stop short term trading activities in mutual funds and to maximize return of investors over a longer period of time. If one is planning to bring such measures for the industry then it would be advisable to bring flexibility in lock in periods. • Like wise if some one needs invested funds for a short term of period they will have to choose fund period for 6 months to 1 year. After that the fund will auto redeem without further new investment choice made. • Funds where investor’s looks for long term capital appreciation will go for lock in of funds period of 2 years. These investors will get 50% tax benefits under section 80c and the taxation will be EET. • And last but no the least the funds having lock in period of 3 years will get EEE options and tax saving category under section 80c. These options will make the prospect of the industry more aggressive and to a certain extent will make the fund management process much relaxed and will stop them from living on the edge of sudden redemption pressure despite of exit loads. If SEBI is looking towards investors benefits then it should be user friendly for the both the parties involved in the transaction. It cannot be one sided process and cutting all trees on the name of investor protection. More over the industry is suffering more of urban focused business approach. The industry needs to accept and learn that if they desire they can have wider area of focus and penetration in rural India. They need to educate people to bring savings and change older forms of savings in rural India. They should bring financial literacy among the rural India. Micro finance is among one of the area where mutual funds industry can play a wide prospect. Now many of friends might come up with the views that the SEBI module was implemented to stop miss selling or bargain selling. I agree that bargain selling have been stopped but does miss selling got eliminated. In other way round miss advisory business have began and can SEBI stop this by brining any module. What about those who lost their bread and butter from this industry. SEBI did not lay any guidelines for value based selling’s. Neither value based sales approach nor have techniques been described and designed for the industry. SEBI is not looking into these guidelines which will guide the investors was well as the industry. Even if miss selling of advisory business is made there is hardly any active and immediate grievance cell. Even what documentations need to be kept in advisory business as a matter of proof to keep the advisor as well as the investor protected is not even laid on the table. I leave rest of the debate to my readers asking them is this the process of doing financial growth of an industry and controlling miss selling. Recessions have affected mostly the real estate business. Slowing demand and sudden evaporation of liquidity position made the situation become so tough for the real estate sector that companies who were engaged in massive long term projects have to abandon the projects. In many cases they have to forgo SEZ projects too due to financial crisis. The worst suffers were the ones who have dreamt of having their own roof over their heads. As liquidity crisis fragmented the real estate sector delay in construction became the night mare of the advance booked consumers. The consumers who made advance payments have too only wait for the revival of time and on the other hand they counted the expenses of the installment payments. Even the banks were compelled to go for loan rescheduling. But after one year the situation have changed for the real estate sector. Not only constructions have began but completion of old projects have been completed on a war basis. Price benefits and other amenities were added up to complete the sales process of unsold projects. Demand started picking up slowly but not to the levels of pre recession. The budget 2010-11 added more smile for the reeling sector. • The pending housing projects have been granted a one year extension for completion. Earlier its was existing for 4 years and now its is for 5 years. This have been made for claiming a 100% deduction on their profits under section 80-IB of the Income Tax Act, 1961 (“Act”). • The government also relaxed under section 80-IB of the Act to 3% of the aggregate built-up area of the housing project or 5000 square feet, whichever is less. Earlier it was the existing 5% of the aggregate built-up area or 2000 square feet, whichever was less. • Investment linked incentives have been proposed for the business of building and operating new hotels of two-star or above category, anywhere in India, which start functioning after April 1, 2010. • 1% interest subvention on housing loans up to Rs.10 lakh (where the cost of the house does not exceed Rs.20 lakh) has been extended till March 31, 2011. • More over some commercial projects have been included among the category of deduction under income tax act. • A 4 month extension has been provided for setting up and commencing operations of hotels and convention centers in National Capital Territory of Delhi and specified surrounding regions. 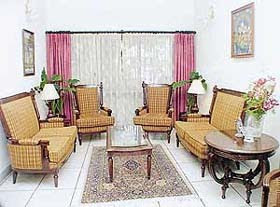 Such hotels and convention centers would now be eligible to claim specified deductions, where such facilities are set up and commence business by July 31, 2010. All these incentives and packages make the sector prospects for new financial year very much progressive. The sector needs to make judicious mix of the incentives to derive growth as compared to the tough phase of recession. On the other hand the sector also faces some inbuilt economic factors which decided the direction of the growth paddle of the sector. In many areas of India where unemployment is still a factor of concern projects built in those areas finds hard to sell their projects. Since good employment opportunities makes the process of long term payments easier. Job security plays a big role for the real estate sector. • Road infrastructure followed with water and sanitation infrastructures also decided the fate of the sector. Improper infrastructure makes it difficult for sale of projects. • Even if the project is below the market rate or at reasonable rate it becomes difficult to find prospective buyer for these projects due to infrastructure issues. • Speculative prices of real estate came to an end during recession. • Cost of input also reduced the end price of the projects. • But with Indian economy getting back on the wheel of 8% GDP growth the cost of materials and others are increasing. • The allocation of funds by the banks to the real estate sector is very much impressive. 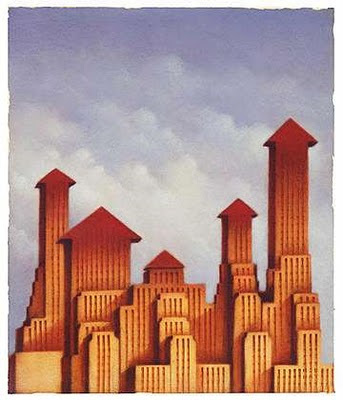 • The total outstanding of banks to the real estate sector stood at Rs 88581 crore as on November 21, 2009. • The banks exposure has gone down by a little over Rs 8,000 crore between June and November 2009. • The flow of funds in to sector also spooks off the factor of speculation and return of over pricing of projects. The sector should make a cautious move from now as global financial position is yet to develop. Massive project undertakings should be avoided followed with controlled speculative prices of projects. Intermediaries should be reduced so that speculation and over pricing of projects should not erupt. Since these might make the growth of the sector slow and difficult. The builders should try to capitalize optimum utilization of resources and timely completion of projects. The sector should avoid too much leverage on its working capital. In many cases over supply of projects have eliminated the demand appetite for the sector. The builders should keep this factor in mind when new projects are being undertaken by them. Proper survey of the demand and supply position of the area should be made. But despite of all these the sector enjoys the threat of job security and unstable demand. The governments of India have been very helpful to the sector but many of my readers might disagree and will demand for more sops. The only reply I have for them is that demands have no ending. Recessions have taught lessons to many even to the favorite pet at your home. Among all these many of the lessons are positive and where as many are on the way to become positive. Recessions have educated us in many ways. Among them emerging economies is making the world economy educated about the process of making positive outcomes. 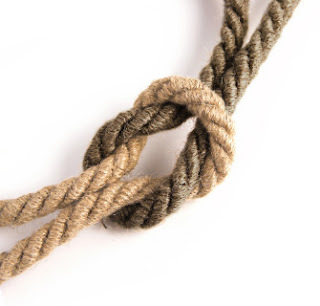 Emerging economies are now in the phase of cross border acquisitions. The volumes of trade have increased across the globe. Emerging economies are helping out the companies who are on the verge of collapse. 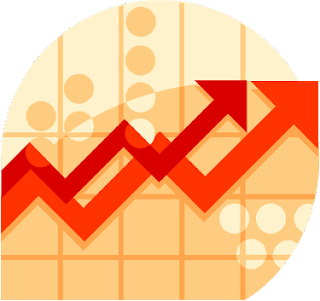 Global merger and acquisition volume and size have increased to some astronomical levels in this post recession period. If we look historically we will hardly find any such period of recession whether of small term or long, such aggressive volumes of M&A. If we start from India which is one of the leaders in merging economies now we find astronomical appetite for M&A among our business magnets in India. • In the first month of 2010 deals worth nearly $3 billion (about Rs13,950 crore) were announced by Indian corporate. • According to the monthly deal report of VCEdge, a financial research provider, the M&A deal value during January 2010 stood at $2.8 billion, a whopping 126% rise over the same period last year. • Domestic deals were in fervor during January 2010, as there were as many as 29 domestic deals worth $2,303 million as compared to 14 transactions worth $589 million in January 2009. • If we go for sector wise data analysis to find out which sectors are on the ladder of buyers preference we find telecom, logistics and banking, finance and insurance were the most targeted sectors for investments. • Even if we break up the volumes of transaction in the favorite ladder of Indian corporate we get deals of worth $2,180 million, $164 million and $117 million respectively for the above favorite sectors. • These sectors have contributed in total 85% of the of total private equity deal value during the month. One of the prime reasons for these higher numbers of cross border deals by Indian corporate is that expansion of domestic industries is some what coming close to some stagnancy. Followed with increase of consumer base to maintain the top line of the companies is also a prime agenda. Companies are very well aware that post recession period is an opportunity for expansion. 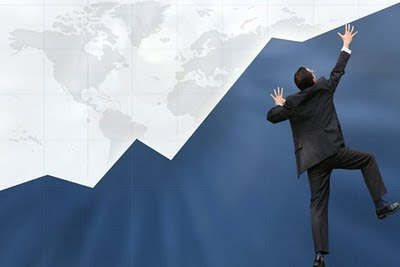 Struggling phase of companies across the globe is an opportunity for the emerging as well as for those companies who are having large pile of cash to deploy for purchase. The last tow points are very much applicable for all economies across the globe. But among them if we look into the real image on the mirror of such higher number of cross border deals then their will be less place to feel proud for the Indian corporate growth story. • Indian companies like Bharti Airtel, Shree Renuka Sugars and National Mineral Development Corporation take over stories might make us feel very proud. Moreover the volume of purchase also makes us feel and understand that financial crisis is receding particularly for Indian market. • But the deals are made up on houses made up of sand. Yes my readers might get shocked about what have been written by me. • But the fact is this that all these loans are showing signs of too much optimism based upon inflow of foreign funds coming in to domestic markets. • We should not forget that these funds are nothing but working as short term investments. • Where once the target ROI is achieved by the foreign funds inflows, the funds will exit Indian markets. • In that case these cross border deals made for increasing consumer base and increasing production capacity might be difficult to swallow and digest too. • Even if it is taken for granted that these funds are here to stay for longer term of period in Indian markets any blast of the various financial time bombs placed across the world might rattle the world economies. • Dubai, Greece and European other countries financial bombs blast have rattled, any such type of further blast might bring up the dark clouds of recession for the Indian companies. It’s good to have expansion and diversification of business and markets but with some controlled and well designed structures. Companies are running like mad bull keeping in mind cheap valuation of over seas companies followed with increase in consumer base. In many cases the cross border valuations might appear as cheap keeping the present flow of liquidity across the market. But what happens when this liquidity finds the exit door. I doubt that how many of the articles you might have read about this thought line in your daily magazines and other places. I would like to accentuate that world consumers will take a decade to come back to the demand levels of pre recession phase. We have also witnessed host of funds being raised by Indian corporate for expansion. I might add up some guidelines for the companies to keep a tab on proper M&A deals but when the bull is mad nothing will work in front of him. The investors are advised to look for long term goals and targets of the company keeping recession atmosphere in mind. Since no one knows when a financial time bomb will go for a bursting mood and all these deals will look like burdens for the companies. 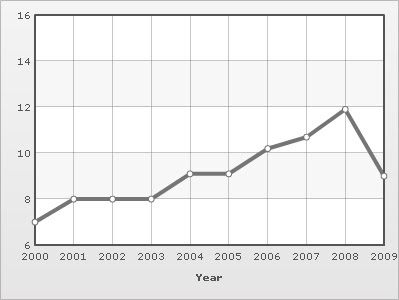 China has been the prime leader of 2009 in economic recovery competition. The stimulus package has helped china to have a GDP growth rte of 10% beyond the forecast of any economist across the world. China apart from stimulus package the undervalued Chinese currency has played the major role for the prolonged GDP growth of china in the past couple of decades. The stimulus package game was just for a small period of time where as undervalued yuan. We have been reading and hearing that Chinese products have replaced the domestic products produced by US and Europe in their own shopping malls. Prime reason for this is low price of goods and services produced by Chinese manufacturers. • Low price have been achieved by Chinese production houses due to undervalued yuan. • Now many of you might be new to know that how undervalued currency helps a nation to increase its manufacturing and replace goods produced by other nations. • An undervalued currency tends to make a country's goods cheaper, causing its trading partners to import more than they would otherwise. • China has made the currency undervalued as fiscal sop for its economic growth. • In other words china has capitalized at the cost of other nations by making its currency undervalued. • It has increased its foreign exchange at the cost of other nations. Cheap products of china have resulted to increased unemployment of US and Europe. • Since when products at home became costly they have no other way to cut short employees and workers to reduce their fixed cost and compete with Chinese goods. Very recently we all heard that Chinese products have been banned by US and Europe followed with India. Since china is eating way the industrial belt of these economies through its undervalued currency. China has been able to become number 1 in the world economy which hold US treasuries. According to data form the US Treasury Department, China held $894.8bn (£591bn) of US Treasury securities at the end of December. Roughly two-thirds of the country’s reserves are believed to be in dollars and dollar-denominated assets such as gold. 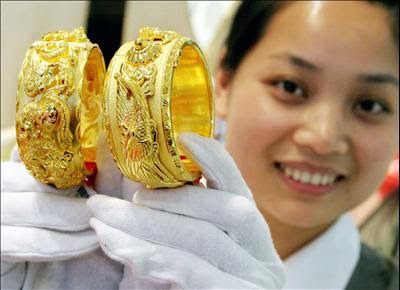 Very recently china have asked its citizens to buy gold and also Chinese government bought huge quantum of gold which was sold by IMF .China have been able to build this huge reserves of US treasuries due to its export competitiveness. Its undervalued currency has acted as a subsidy or fiscal sop to the exporters of China and to its manufacturers. But now we are getting clear signals from US and other economies that to increase the valuation of yuan. Very recently U.S. President Barack Obama told this year that he will "get much tougher" with China on trade issues, including the currency. The U.S. Treasury in April also faces its annual decision on whether to formally label China a "currency manipulator," a move it has never yet taken. The mounting pressures on china relating to its currency have led china to declare that it will go for some upward revision of its currency. But if china goes for a massive turn around in its yuan valuation then dollar might get replaced. Now many of you must have been shaken from their seats to hear that Dollar will be replaced by Chinese currency. In fact china holds the position of replacing dollar to Chinese currency. • The rising deficit will exert pressure on the US dollar making it more vulnerable for export oriented countries. 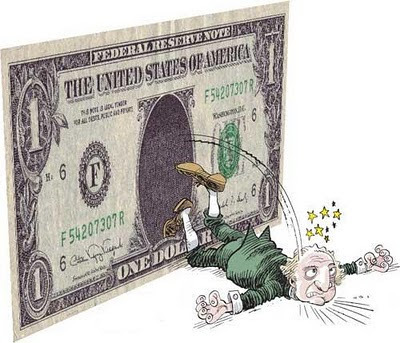 • Since dollar will make only free fall and no recovery is expected until the deficit of US stops climbing. • Moreover falling dollar will make export to us more costly where as export by US to other economies will be cheap. Now by the time you read this article US goods might have started replacing Chinese goods from Chinese shopping malls. • What china has been doing so long is now being adopted by US. Now china in order to stop these type of probable practices , it will have revalue its currency. Now its must deal for China. • And if china plans for some major turn around they can sell of the reserves of US treasuries and convert them in to Chinese currency making its more difficult for US. Now it’s a matter of time to see what china does with its currency and how much US will try to press china on currency. If china goes for a burst out dollar might get a new cousin brother taking birth from Asian economy.China might use its currency as a weapon. One thing is very crystal clear that China has to go for currency revaluation in order to remain on the table of WTO and IMF followed with Group of 20 nations. Moreover the time when China will go for currency revaluation, US treasuries will be sold by China making the currency market more volatile and equity markets will have to face a earth quake. US should try to control Chinese market penetration but should not go for such steps which will make US bad days prolonged and difficult. INFLATION SHADOW IS A PART OF HIGHER GDP. We have been hearing after the budget that increase in the limits of tax slab followed with some other measures which will result to increase the flow of funds on the street will spook inflation. It has now become caller tune of Indian economy. Before we get in to the platform of endless debate on this topic let us look into some invisible trends of inflation followed the shadow of analysis. 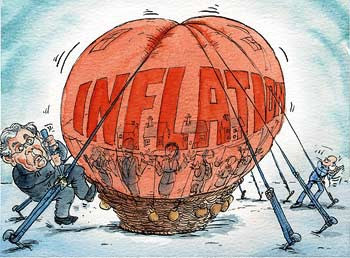 Inflation arises due to many factors. Among all of them we only understand that excess flow of funds on the streets increases inflation. This is true but half of the glass of water. We must understand few basic facts regarding the recovery of Indian economy followed with sustaining growth of the Indian GDP. The below chart shows the GDP growth of Indian economy. • India have achieved GDP growth rate of 7.4% in 2009. • This growth is primarily derived on domestic consumption. • Since declined economy of US and Europe has resulted to significant drop in Indian export. • Falling dollar have also exerted pressure on the exporting countries too where India was among the hard hits. • In order to maintain the GDP growth rate above 6% India needs support from two segments 1) Export and 2) Domestic demand. • Export at the present phase is not achievable. • Finally to spook of the GDP growth domestic demand and consumption is required .This consumption will ride on the wheel of excess flow of funds in to the street.This will also increase the Purchasing parity power. • Now government cannot distribute money directly for increasing purchasing parity among the consumers. So the best way was to increase the limits of tax slab resulting increased savings and higher consumption. Now if we look historically towards the world economies we find that many nations who have achieved GDP growth above 6% had their shadows of inflation of equal or higher size than GDP. A country which will try to achieve a growth derived on domestic consumption will spook inflation of higher margin particularly in emerging economies. India is no exception to that. Its like inflation is the shadow of GDP. Emerging economies will be very prune to higher inflation as they are showing sings of recovery faster than any other economies. If we look historically to China our next door leader in 2009 economic recovery rally we find some interesting supporting facts and analysis. 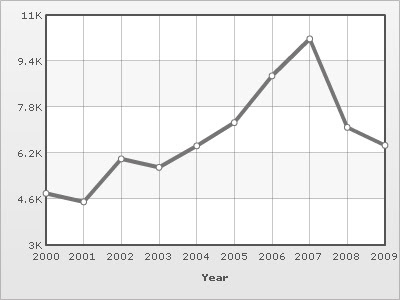 From the above chart of Chinese economy GDP we read that china have always remained an economy of continuous GDP growth of above. At the same time looking at the chart of inflation we find that it juts acted as a shadow of GDP growth of china. As Chinese GDP grew the inflation also took a same ride following the inflation. Along with this if we look at the purchasing power parity we get the clear picture of the reason behind the Chinese GDP growth rate. So putting all the pieces of the picture we get the complete the portrait of the GDP increase followed with inflation increase simultaneously.In order to have higher GDP growth higher purchasing power of parity is required and simaltaneously higher infaltion comes as a shadow.Form the above data we get the proof of the puding and also if we analyze other economies having higher marhin of GDP growth we will find higher inflation shadow. It cannot be denied that higher GDP growth cannot be achieved without higher margin of inflation. The central banks might try hard to tame inflation but that can hardly be done hurting GDP growth. Cost of borrowing might go up but flow of funds cannot be stopped since once flow of funds are brought under that ambit of control GDP growth will take a set back. Happy to say that Indian economy at present cannot afford to have any such measures, which will pull back funds from the streets. NOW WHAT MIGHT HAPPEN TO INFLATION WRESTLER? The Union Finance Minister, Pranab Mukherjee, has recently said that supply side constraints, particularly among food items, resulted in rising inflation. If we look historically the food price inflation stood at 17.86 % for the week ending February 20.The main prime reason for this inflation is due to the low and delayed rainfall in 2009 followed with farmers opting for alternative food crops. This has resulted to higher food inflation. 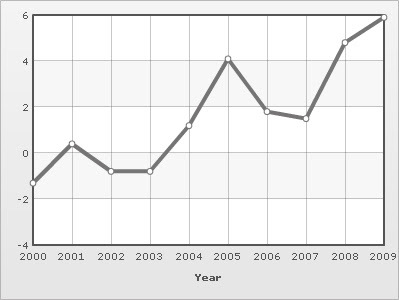 The FAO food price index, which includes national prices as well as those in cross-border trade, suggests that the average index for 2007 was nearly 25% above the average for 2006. Apart from sugar, nearly every other food crop has shown very significant increases in price in world trade over 2007, and the latest evidence suggests that this trend has continued and even accelerated in the first few months of 2008. This inflation has nothing to do with flow of funds or excess liquidity in the systems. Global food prices and demand sets the tone for the Indian food inflation figures. So it’s well clear that Indian food inflation is only a phase of agriculture output and shortage. Once the demand is filled up the food inflation will come down. Even if food inflation comes down Indian economy will face higher inflation rates if grows to the expectation of finance minister’s GDP numbers. Now if we look at the growth of the emerging economies like India and China commodity prices are going to remanin upward due to higher consumption rate.Now this mind appear bit strange but the fact is this that base metal prices,oil prices and few other prime raw materials consumed by the industryies of the both the economies will remain under higher valuations. Among all these oil prices will find its high valuation from India and China as both the economies are having a growth rate of above 7%.Higher GDP growth rate will derive the prices of commodity prices in these two nations.RBI or any cenrtral bank cannot tame inflation by fiscal policies since higher GDP growth is the prime agenda of these two nations.All can be done is to keep a tab on uncontrolled price hikes and reasonable price hikes.